Introduction: Peripheral neuropathies form one of the most common disorders of the nervous system. 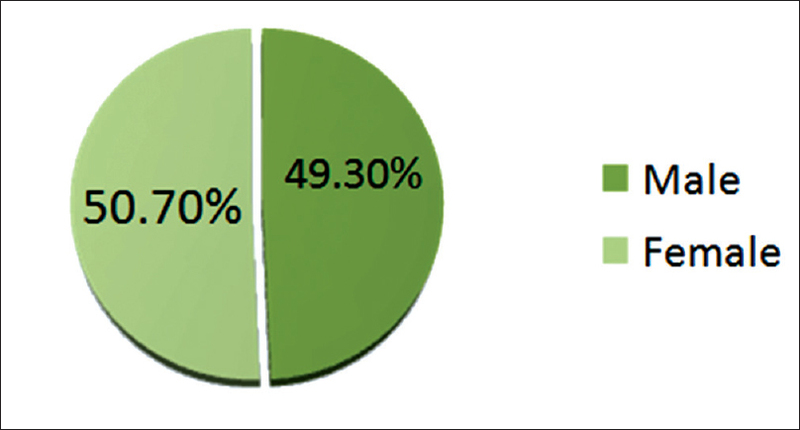 However, more than 50% of them are labelled as 'idiopathic' and, therefore, treatment options become less. In this study, we tried to evaluate the phenotypic as well as laboratory characteristics and outcome of patients with biopsy proven vasculitic neuropathy. Patients and Methods: Review of biopsy proven definite or probable vasculitic neuropathy was done. Results: The cohort consisted of 67 subjects. There were 21 patients of systemic vasculitis (SVS) and 46 of non-systemic vasculitic neuropathy (NSVN). The nerve biopsy revealed definite vasculitis in 37 and probable vasculitis in 30 patients. The symptoms at onset were paraesthesia (68.7%), and paraesthesia and weakness (28.4%). Diffuse polyneuropathy occurred in 70.1% patients. The course was chronic in the majority (80.59%) of patients. Electrophysiology revealed mononeuritis multiplex in 32.84%, and polyneuropathy in 67.16% of patients. Pure sensory neuropathy was present in 16.42%. 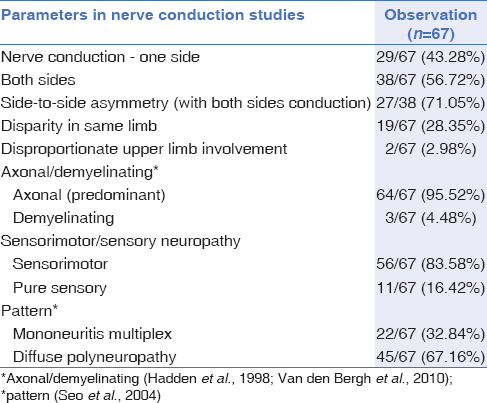 Among the patients who had undergone bilateral nerve conduction studies, the majority (71.05%) of patients had an asymmetric neuropathy. 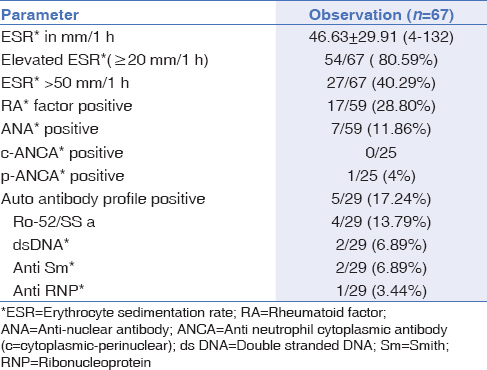 An elevated erythrocyte sedimentation rate (ESR) was observed in 80.59% (mean 71.57 ± 30.81 mm/1hr [in SVS] and 35.24 ± 21.62mm/1 hr in NSVN) of patients. The treatment included steroids, other immunomodulators, and symptomatic medications. The mean follow up was 10.98 ± 9.58 months. The outcome was good in 73.46% (43.8% with SVS and 87.88% with NSVN) patients, with those having a NSVN having a significantly better outcome. Conclusion: Vasculitis is a potentially treatable cause of peripheral neuropathy. The clinical features, electrophysiology, laboratory results and nerve biopsy may help in the diagnosis and categorization of patients into non-systemic and systemic vasculitic neuropathies. The long-term outcome is better in patients with NSVN compared to those with systemic vasculitis. Key Message: Peripheral neuropathy is a common feature in both systemic and non-systemic vasculitis. Recognition and early treatment of this condition is vital for achieving a good outcome. Peripheral neuropathy is a very common disease. In nearly 60% of cases, this manifestation turns out to be of unknown aetiology. Peripheral neuropathy occurs in 50 to 70% of systemic vasculitic syndromes., Vasculitic neuropathy can occur as a primary non-systemic vasculitic neuropathy (NSVN) or secondary to systemic vasculitides (SVS).,,,,, The vasculitic process involves vessels of the size of 50-300μm, which is the calibre of vasa nervosa. Several reports have also described patients with vasculitis restricted to the peripheral nervous system, the so-called non-systemic vasculitic neuropathy., This group needs to be recognized early as it forms one of the types of reversible neuropathies and the quality of life can be improved greatly following its early treatment., In this study, we describe the clinical, laboratory, electrophysiological and histopathological findings of patients in various age groups, evaluated at a single centre with biopsy proven vasculitic neuropathy. The study was conducted between January 2008- December 2009 with the file review of biopsy proven patients of vasculitic neuropathy. All the patients were identified from the neuropathology archives of the records of patients who had undergone a nerve biopsy. Subjects who had evidence of definite or probable vasculitis were included in the study and a retrospective chart analysis was carried out. The study was approved by the institutional ethics committee. The details of the clinical symptomatology, neurological deficits, and electrophysiological abnormalities were obtained from case records. The progression of symptoms was classified as acute, of less than 4 weeks duration; sub-acute, of between 4-8 weeks duration; and, chronic, of greater than 8 weeks duration. Results of the laboratory investigations such as the hemogram, erythrocyte sedimentation rate (ESR), biochemistry, serology, and the auto-immune profile, which included the rheumatoid arthritis (RA) factor, antinuclear antibody (ANA), and anti- neutrophil cytoplasmic antibody (ANCA) were recorded, wherever they were available. Electrophysiological studies were carried out using standard protocols, and at least one motor and one sensory nerve each in the upper and lower limbs were examined. Values beyond 2 standard deviations (SD) of laboratory control data were considered abnormal. Based on the available data, categorization of sensory/sensorimotor, axonal/demyelinating, mononeuritis multiplex/polyneuropathy, and symmetric/asymmetric neuropathies were made. The term 'mononeuropathy' was referred to as an abnormality exhibited in a single nerve; the term 'mononeuritis multiplex' was designated when more than one nerve but less than 50% of the tested nerves showed abnormalities; and, the term 'polyneuropathy' indicated that more than 50% of the tested nerves showed an abnormality. Biopsy of the sensory nerve was conducted after establishing the electrophysiological abnormality. The nerve biopsies were fixed in 2.5% glutaraldehyde and one portion was processed for paraffin embedding. A second portion was prefixed in Fleming's solution and processed by the Kulchitsky Pal stain for the assessment of myelin. Longitudinal and transverse sections of 3 microns thick were serially cut and stained with the hematoxylin-eosin stain, Masson's trichrome stain for collagen, and Kulchitsky Pal stain for myelin. In addition, periodic acid-Schiff, Congo red, and Perl's Prussian blue staining procedures were carried out for detecting paraprotein/immunoglobulin, amyloid, and hemosiderin deposits, respectively. Immunohistochemistry by the indirect immune peroxidase method was carried out in selected cases using antibodies to leucocyte common antigen (monoclonal 1:100, Bio Genex, Fremont, CA, USA) to detect inflammatory infiltrates. 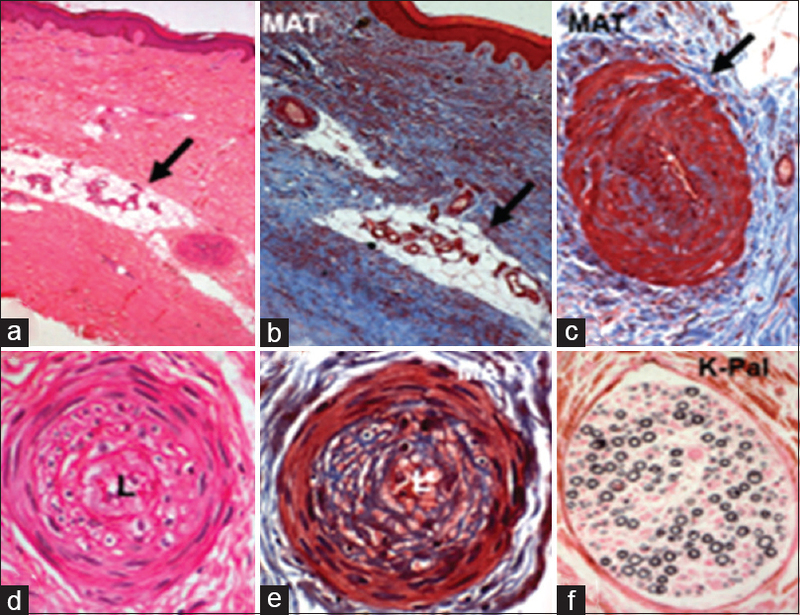 Definite vasculitis: Presence of transmural inflammatory infiltration with or without fibrinoid necrosis; and, Probable vasculitis: Presence of at least one vessel rimmed or infiltrated by inflammatory cells, in the absence of transmural infiltration; and, the presence of other supportive pathologic features, namely either vascular alterations (vascular thickening and sclerosis, narrowing or obliteration of lumen, thrombosis with or without recanalization, epineurial capillary proliferation or neovascularization and periadventitial hemosiderin deposits) or asymmetric nerve fibre loss and active Wallerian-like degeneration. In this study, inflammation was considered significant if ten or more epineurial inflammatory cells or five or more endoneurial inflammatory cells were present. A minimum of two vascular changes in the presence of inflammation and sectorial myelin loss was considered significant. Possible vasculitis: The same criteria as for probable vasculitis existed, except for a milder degree of inflammation in less than five cells in the endoneurial, and 5-9 cells in the epineural compartment. Additional tissue biopsies were reviewed wherever available. In the present study, only cases having either a definite or a probable vasculitis were included. Data on treatment and follow-up evaluation were gathered from the case records. The nature of the immunosuppressants used, the response to treatment, and the duration of follow up were noted. The outcome was assessed in those patients having a follow-up duration of at least 6 months and was categorized as being either 'good' or 'poor'. A 'good' outcome indicated an asymptomatic patient/a patients with no disability/a patient independent for all activities of daily living; a 'poor' outcome indicated a patient who needed help in day-to-day activities/a patient who needed assistance for walking/a patient who was unable to walk/a patient who died. Depending on the clinical features, laboratory parameters and histopathology, the patients were grouped into the categories of systemic vasculitis (SVN) and non-systemic vasculitic neuropathy (NSVN). In the presence of constitutional symptoms alone, without any other evidence of systemic involvement (apart from involvement of nerve/muscle), the patients were classified as having non-systemic vasculitis. 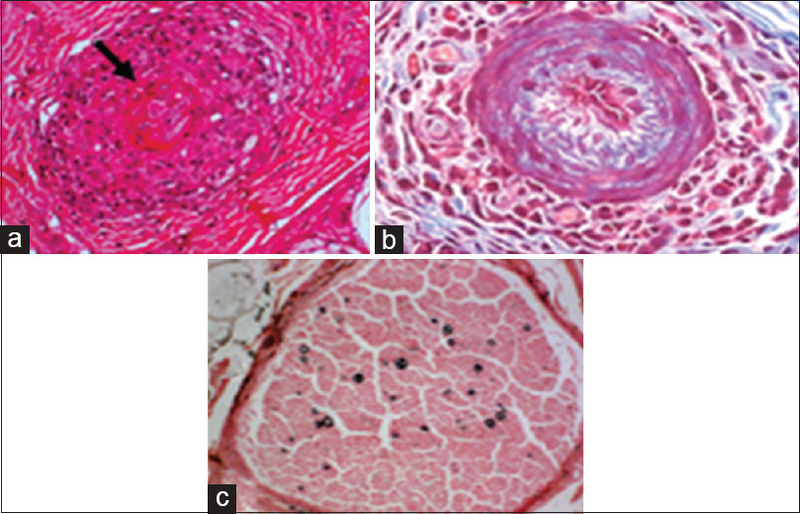 In the presence of multiorgan involvement but without features satisfying the criteria of any defined systemic vasculitic syndrome, the cases were labelled as undifferentiated/unclassified vasculitis. Statistical analysis was done with the Statistical Package for the Social Sciences (SPSS) software. Frequencies were calculated for categorical variables and means for continuous variables. The chi square test/Fisher exact test were used for comparing the categorical variables between the groups, and independent sample t test was used for the continuous variables. During the study period, 76 patients had undergone a nerve biopsy with evidence of definite or probable vasculitis. Nine patients were excluded in view of their incomplete medical records. The data of the remaining 67 patients was analysed. Histopathology revealed the presence of definite vasculitis in 37 patients and probable vasculitis in 30 patients. Demographic details: The age at presentation ranged from 18 to 69 years (the mean age being 42.67 ± 13.56 years) with the majority (51%) of subjects being in the fourth and fifth decades [Figure 1]. There was no gender predilection, with both male and female patients being almost equally affected (male: female = 33:34) [Figure 2]. 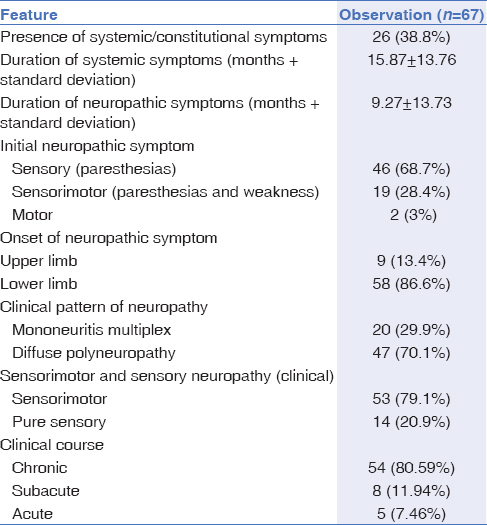 The onset of neuropathic symptoms was in the lower limbs in the majority (86.6%) of patients. The initial neuropathic symptom was the presence of paresthesias in 68.7% of patients; and, the presence of both paresthesias and weakness in 28.4% patients [Table 1]. The most common clinical pattern was polyneuropathy, seen in 70.1% patients; and, mononeuritis multiplex, seen in 29.9% of patients. A pure sensory neuropathy was seen in 14 patients. The clinical course was chronic in 54 (80.59%), sub-acute in 8 (11.94%) and acute in 5 (7.46%) patients. An elevated erythrocytic sedimentation rate (ESR) was observed in 80.59% patients, and half of them had an ESR value of more than 50mm/hr. The rheumatoid arthritis (RA) factor was positive in 19 of 59 patients. 7 out of 59 patients tested positive for antinuclear antibodies (ANA). Ro 52 was positive in 4 out of 29, ds DNA (double stranded deoxyribose nucleic acid) in 2 out of 29, anti- Sm (anti-Smith antibodies) in 2 out of 29, anti-RNP (ribonuclear protein) in 1 out of 29, p-ANCA (perinuclear anti-neutrophil cytoplasmic antibodies) in 1 out of 25 patients. Three patients were found to be human immunodeficiency virus (HIV) reactive, one of whom was also HBsAg (surface antigen of the hepatitis B virus) reactive [Table 2]. Of the 67 patients, bilateral nerve conduction studies were available in 38 patients and remaining 29 had unilateral motor and sensory studies. Axonopathy was seen in 95.52%, and a predominant demyelinating neuropathy only in 4.48% of patients. Sensorimotor neuropathy was observed in 83.58%, and a pure sensory neuropathy was seen in 16.42% patients. More than two-thirds (67.16%) of the patients had polyneuropathy. Among the patients with bilateral nerve conduction studies, side-to-side asymmetry was also observed in 71.05% patients [Table 3]. Of the 67 patients, sural nerve biopsy was done in 61, superficial peroneal biopsy in 3, and dorsal cutaneous nerve of the ulnar nerve biopsy in 3 patients. 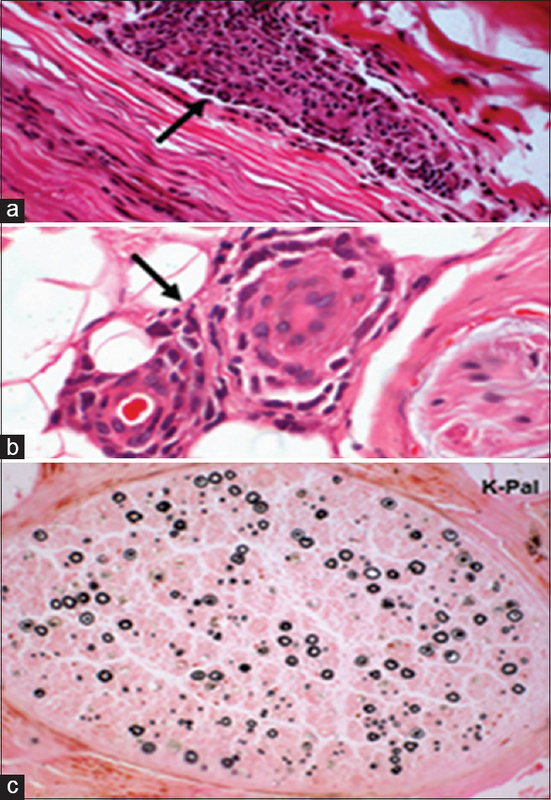 The nerve biopsy revealed definite vasculitis [Figure 3] and [Figure 4] in 37, and probable vasculitis [Figure 5] in 30 patients. Rheumatoid arthritis with vasculitis was seen in 7 cases [Figure 6]. The muscle biopsy revealed vasculitis in 9 out of 13 patients, and the skin biopsy revealed vasculitis in 5 out of 7 patients. Lip biopsy confirmed sialadenitis in 3 patients with Sjogren's syndrome [Figure 7], HIV vasculitis in 3 cases [Figure 8], SLE vasculitis in 2 cases [Figure 9], Churg Strauss in 1 case [Figure 10], and systemic sclerosis in 1 case [Figure 11]. Based on the clinical, laboratory and histopathological features, out of 67 patients, 46 had isolated vasculitis of the peripheral nervous system (NSVN), and 21 had systemic vasculitides. Sub-categorization of the systemic vasculitic syndromes is shown in the [Table 4]. The patients received immune-suppressants based on the associated comorbidities and the financial feasibility. Majority of the patients (60/67) received corticosteroids, either oral prednisolone or parenteral (intravenous [iv] methylprednisolone) followed by oral prednisolone maintenance therapy. Twenty-three patients received intravenous pulse doses of cyclophosphamide. Other medications used included azathioprine (n = 6); methotrexate (n = 4); mycophenolate mofetil (n = 2); hydroxychloroquine (n = 2) and highly active anti-retroviral therapy (HAART) [n = 3]. Of the total of 67 patients, 49 had minimum of 6 months follow up. 36 of these patients had a good outcome (asymptomatic/independent for all activities of daily living) and 13 (1 patient expired) had a poor outcome (dependent for activities of daily living or death). The mean duration of follow up was 10.90 ± 9.58 months. There was a significant difference in the outcome between systemic vasculitis (43.8% good, 56.2% poor) and nonsystemic vasculitic neuropathy (87.88% good, 12.12% poor). On comparative analysis between systemic vasculitis and nonsystemic vasculitic neuropathy, the clinical pattern of neuropathy, electrophysiology, and histopathological findings did not differ much. However, the systemic vasculitis group had a significantly higher systemic symptoms, an elevated ESR, anemia, a positive autoantibody profile and a poor outcome [Table 5]. Peripheral neuropathy is a common feature in both systemic and nonsystemic vasculitis as the vasculitic process involves vessels of the size of 50-300μm, which is the caliber of vasa nervosa. Vasculitic neuropathy can occur as an isolated process or as a manifestation of systemic disorder with multi-organ involvement. It accounts for 5.3% to13.8% of biopsy proven peripheral neuropathies. In this study, nonsystemic vasculitic neuropathy (46/67, 68.66%) was more frequent than systemic vasculitis (21/67, 31.34%). Studies from the West have reported more number of patients with systemic vasculitis than non-systemic vasculitic neuropathy. However, our findings are comparable to the series reported by Murthy et al., which included 56.25% patients of nonsystemic vasculitic neuropathy and 43.75% of systemic vasculitis. The most likely explanation for this disparity is a referral bias. As our centre is a tertiary care centre catering exclusively to neurological and psychiatry disorders, the proportion of cases of systemic vasculitides with multiorgan involvement is expected to be small, as most of these patients would be sent to other multi-speciality hospitals. 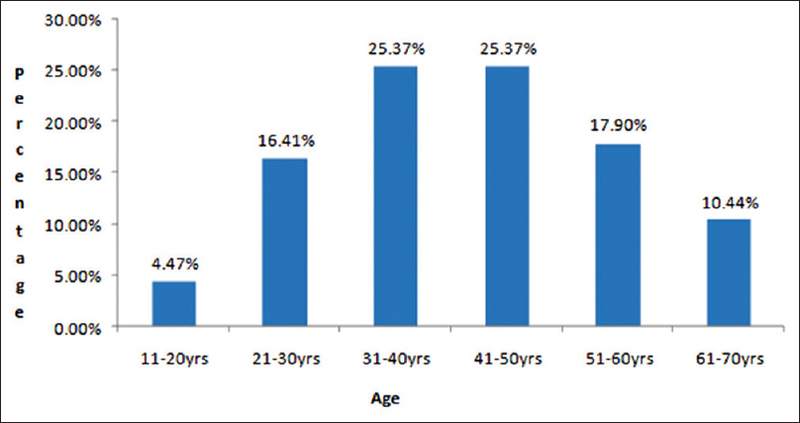 The mean age at presentation of the cohort was 42.67 ± 13.56 years (range: 18-69 years). This study population was younger compared to the published studies from the Western literature. Collins et al., in their study reported a mean age of 62.1 ± 14.3 years, which is similar to that of Hawke et al. However, our findings (42.67yrs) are comparable to a study from South India in which 42.37 years was the mean age at presentation. In the present study, twenty-six of sixty-seven patients had systemic (including constitutional) symptoms. The most common systemic symptoms included arthralgia (26.9%), fever (25.4%) and weight loss (13.4%). The presence of systemic/constitutional symptoms is well known in systemic vasculitic neuropathy, but they can occur in nonsystemic vasculitic neuropathy as well. The previous studies have shown that weight loss and fever are the most common systemic manifestations in vasculitic neuropathy., As significant proportion of patients in the present study had vasculitis secondary to connective tissue disorders, arthralgia/arthritis was the most common systemic symptom. Elevated ESR greater than 50 mm/hr favours the presence of an inflammatory pathology. Though available in limited number of patients, the RA factor, as well as the ANA and ANCA profile were useful in classifying the vasculitic syndromes. In this study, elevation in ESR was seen in more than 80% of cases, and in 40% of patients, it exceeded 50 mm/hr. This observation concurs with the results reported in the existing literature., The RA factor was positive in 28.8%% and ANA in 12% of patients. The auto-antibody profile was positive in 17% patients. All these laboratory findings differed significantly between the systemic and nonsystemic vasculitic neuropathy subgroups, with the autoantibody profile and ANA being positive only in the systemic vasculitis cohort. The RA factor was, however, positive in 7.5% of the NSVN group. Collins et al., also reported similar observations. Dyck et al., reported a positive RA factor and ANA in a small number of patients with NSVN. This has been attributed to the low specificity of these tests, being positive in several non- rheumatological conditions. It has also been suggested that that it may reflect a subclinical/latent systemic vasculitic syndrome without full blown manifestations, or that isolated peripheral nervous system vasculitis/NSVN may in fact be forme fruste of systemic vasculitis. In the present study, sural nerve was most frequently biopsied nerve in 61 (91.04%) patients. Superficial peroneal and dorsal cutaneous branch of the ulnar nerve were biopsied in 3 patients, respectively. The selection of the nerve to be biopsied was based on the clinical and electrophysiological observations. Of these patients, 37 cases demonstrated features of definite vasculitis on the biopsy, while 30 had probable vasculitis. As the entry point for our study was histopathologically proven vasculitis, the sensitivity of the nerve biopsy in suspected vasculitic neuropathy could not be commented upon. The muscle biopsy revealed vasculitis in 69% of patients, with peroneus brevis having the highest yield. 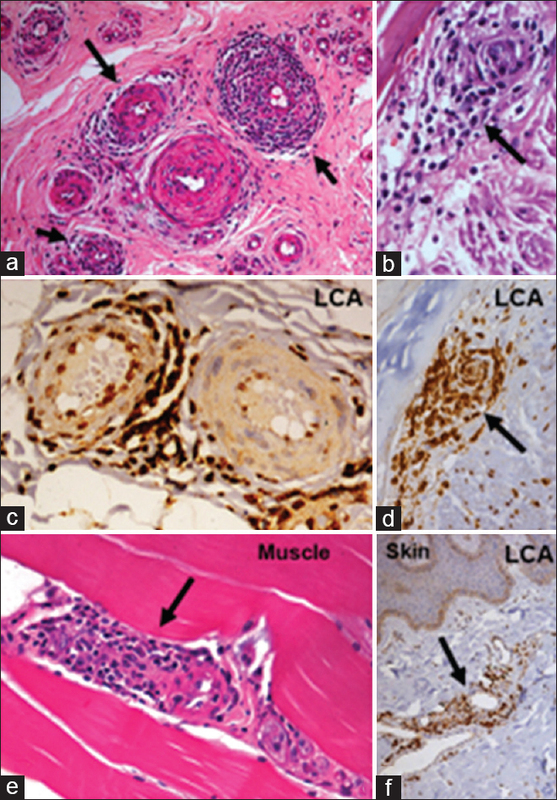 However, the sensitivity of muscle biopsy could not be ascertained in this study, as the number of cases in which muscle biopsy was performed was limited (n = 13). However, the additional yield of muscle biopsy has been described previously.,, Lip biopsy revealed sialadenitis in three patients of Sjogren's syndrome. The utility of the lip biopsy in diagnosing the condition is well known. The response of vasculitic neuropathy to steroids and immunosuppressants is variable. The combination of steroids and cyclophosphamide is recommended based on the available literature. In view of the chronic and relapsing nature of the illness, a drop-out from the treatment arm is expected at sequential follow-up visits, as observed in the present study. Most (90%) of the patients received parenteral or oral steroids. One-third of them received cyclophosphamide. Three patients with HIV related vasculitis received highly active antiretroviral therapy (HAART) alone. Azathioprine and methotrexate were used in a small fraction (9% and 6%, respectively) of patients. In one of the largest series of vasculitic neuropathy, 54% of patients received cyclophosphamide. Collins et al., advocated a combination regimen (steroid and cyclophosphamide) even in nonsystemic vasculitic neuropathy. Overall, the outcome was good in 73.46% of patients There was a significant difference between the systemic (43.8%) and nonsystemic vasculitic neuropathy (87.88%) subgroups. Mathew et al., reported (in the subset of patients with positive nerve biopsies), an overall good outcome in 76% of those patients treated with cyclophosphamide and steroids. In their study, all the patients of nonsystemic vasculitic neuropathy had a good outcome irrespective of the treatment regimen. However, Collins et al., reported that in nonsystemic vasculitic neuropathy, a combination of steroid and cyclphosphamide was more effective than steroids alone, which was consistent with the result of the observational studies in systemic vasculitis. Murthy et al., reported a good outcome in 8 out of 9 patients of nonsystemic vasculitic neuropathy, and in 5 out of 7 patients of systemic vasculitis. Corticosteroids were used in fifteen patients, and only one patient received cyclophosphamide. Hawke et al., also reported a poor long-term prognosis in systemic vasculitic syndromes. These apparent discrepancies in outcome with various regimens may be related to the difference in treatment protocols and a bias towards using cyclophosphamide in those patients with severe disease as against steroids alone in those with milder disease, which would influence the final outcome. Randomized studies comparing the steroid alone regimen versus a combination therapy may better address this issue. The strength of the present study has been in gathering histopathological evidence of definite or probable vasculitis on nerve biopsy as the entry point for the patients in the study. Histopathology is the gold standard diagnostic test for vasculitic neuropathy, and the exclusion of possible vasculitis where an alternative diagnosis is present, may be possible. This is one of the largest series from a single centre reported till date. Its major limitations included the fact that the immunological profile was available in a limited number of patients; and, bilateral nerve conduction studies in the entire cohort could have strengthened the observations. In view of the retrospective nature of the study, the treatment and follow-up protocols were not uniform. Vasculitis is a potentially treatable etiology of peripheral neuropathy. The prognosis is good in isolated vasculitis of the peripheral nervous system when compared to systemic vasculitides. The timely diagnosis of these conditions is important for planning treatment protocols, educating patients regarding their medication compliance and adverse drug reactions and for adequately following-up these patients. Prospective studies may better address the few limitations of our study. Rasmussen PV, Sindrup SH, Jensen TS, Bach FW. Symptoms and signs in patients with suspected neuropathic pain. Pain. 2004;110:461-9. Guillevin L, Cohen P, Gayraud M, Lhote F, Jarrousse B, Casassus P. Churg-Strauss syndrome. Clinical study and long-term follow-up of 96 patients. Medicine (Baltimore) 1999;78:26-37. Hunder GG, Arend WP, Bloch DA, Calabrese LH, Fauci AS, Fries JF, et al. The American College of Rheumatology1990 criteria for the classification of vasculitis. Introduction. Arthritis Rheum 1990;33:1065-7. Jennette JC, Falk RJ, Andrassy K, Bacon PA, Churg J, Gross WL, et al. Nomenclature of systemic vasculitides. Proposal of an international consensus conference. Arthritis Rheum 1994;37:187-92. Luqmani RA, Robinson H. Introduction to, and classification of, the systemic vasculitides. Best Pract Res Clin Rheumatol 2001;15:187-202. Said G, Lacroix C. Primary and secondary vasculitic neuropathy. J Neurol 2005;252:633-41. Saleh A, Stone JH. Classification and diagnostic criteria in systemic vasculitis. Best Pract Res Clin Rheumatol. 2005;19:209-21. Schaublin GA, Michet CJ Jr, Dyck PJ, Burns TM. An update on the classification and treatment of vasculitic neuropathy. Lancet Neurol 2005;4:853-65. Davies L, Spies JM, Pollard JD, McLeod JG. Vasculitis confined to peripheral nerves. Brain 1996;119:1441-8. Dyck PJ, Benstead TJ, Conn DL, Stevens JC, Windebank AJ, Low PA. Nonsystemic vasculitic neuropathy. Brain 1987;110:843–53. Chandra SR, Karru VR, Mukheem Mudabbir M A, Ramakrishnan S, Mahadevan A. Immune-mediated neuropathies our experience over 3 years. J Neurosci Rural Pract 2018;9:30-5. Chandra SR, Anand B, Issac TG. Median and common peroneal neuropathy in coir workers of Alappuzha district, Kerala. Ann Indian Acad Neurol 2017;20:23-8. Seo JH, Ryan HF, Claussen GC, Thomas TD, Oh SJ. Sensory neuropathy in vasculitis: A clinical, pathologic, and electrophysiologic study. Neurology 2004;63:874-8. Zivković SA, Ascherman D, Lacomis D. Vasculitic neuropathy--electrodiagnostic findings and association with malignancies. Acta Neurol Scand 2007;115:432-6. Hadden RD, Cornblath DR, Hughes RA, Zielasek J, Hartung HP, Toyka KV, et al. Electrophysiological classification of Guillain-Barré syndrome: Clinical associations and outcome. Plasma Exchange/Sandoglobulin Guillain-Barré Syndrome Trial Group. Ann Neurol 1998;44:780-8. Van den Bergh PY, Hadden RD, Bouche P, Cornblath DR, Hahn A, Illa I, Koski CL, et al. European Federation of Neurological Societies; Peripheral Nerve Society. European Federation of Neurological Societies/Peripheral Nerve Society guideline on management of chronic inflammatory demyelinating polyradiculoneuropathy: Report of a joint task force of the European Federation of Neurological Societies and the Peripheral Nerve Society-first revision. Eur J Neurol 2010;17:356-63. Shankar SK, Renjen PN, Gourie Devi M, Deshpande DH. Vascular Neuropathies-A Pathological Study of 14 Cases. Neurol India 1983;31:41-50. Das S, Shankar SK, Santosh V. Pathology of peripheral neuropathy: A perspective of Indian scene. In: Murthy JMK (ed). Reviews in Neurology 1995; 2:19-30. Collins MP, Mendell JR, Periquet MI, Sahenk Z, Amato AA, Gronseth GS, et al. Superficial peroneal nerve/peroneus brevis muscle biopsy in vasculitic neuropathy. Neurology 2000;55:636-43. Murthy J, Sundram C, Meena AK, Sundaram C. Vasculitic neuropathy: Clinical electrophysiological and histopathological characterstics. Neurol India 1998;46:18-22. Hawke SH, Davies L, Pamphlett R, Guo YP, Pollard JD, McLeod JG. Vasculitic neuropathy. A clinical and pathological study. Brain 1991;114:2175-90. Bouche P, Leger JM, Travers MA, Cathala HP, Castaigne P. Peripheral neuropathy in systemic vasculitis: Clinical and electrophysiologic study of 22 patients. Neurology 1986; 36:1598-1602. Kissel JT, Slivka AP, Warmolts JR, Mendell JR. The clinical spectrum of necrotizing angiopathy of the peripheral nervous system. Ann Neurol 1985;18:251-7. Bennett DL, Groves M, Blake J, Holton JL, King RH, Orrell RW, Ginsberg L, et al. The use of nerve and muscle biopsy in the diagnosis of vasculitis: A 5 year retrospective study. J Neurol, Neurosurg, Psychiatry 2008;79;1376-81. Vital C, Vital A, Canron MH, Jaffre A, Ragnaud JM, Brechenmacher C, et al. 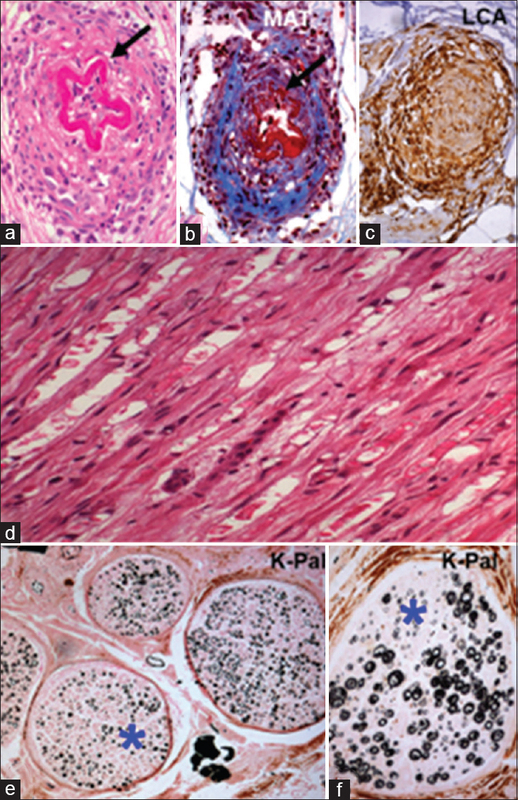 Combined nerve and muscle biopsy in the diagnosis of vasculitic neuropathy. A 16-year retrospective study of 202 cases. J Peripher Nerv Syst 2006;11:20–29. Vrancken FJE, Gathier CS, Cats EA, Notermans NC, Collins MP, et al. The additional yield of combined nerve/muscle biopsy in vasculitic neuropathy. Eur J Neurol 2011;18:49-58. Fuller GN, Jacobs JN, Guiloff RJ. Nature and incidence of peripheral nerve syndromes in HIV infection. J Neurol Neurosurg Psychiatry 1993;36:372-381. Mahadevan A, Gayathri N, Taly AB, Santosh V, Yasha TC, Shankar SK. 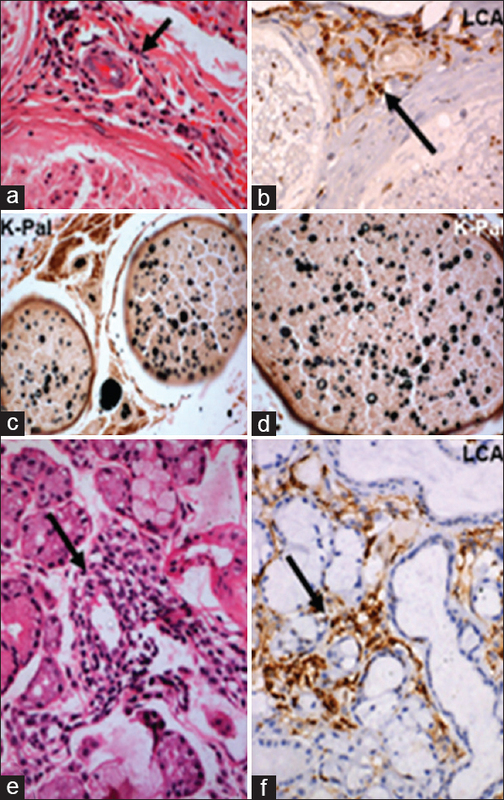 Vasculitic neuropathy in HIV infection: A clinicopathological study. Neurol India 2001;49:277-83. Drenkard C, Villa AR, Reyes E, Abello M, Alarcón-Segovia D. Vasculitis in systemic lupus erythematosus. Lupus 1997;6:235-42. García-Carrasco M, Ramos-Casals M, Rosas J, Pallarés L, Calvo-Alen J, Cervera R, et al. Primary Sjögren syndrome: Clinical and immunologic disease patterns in a cohort of 400 patients. Medicine (Baltimore) 2002;;81:270-80. Kissel JT, Collins MP. 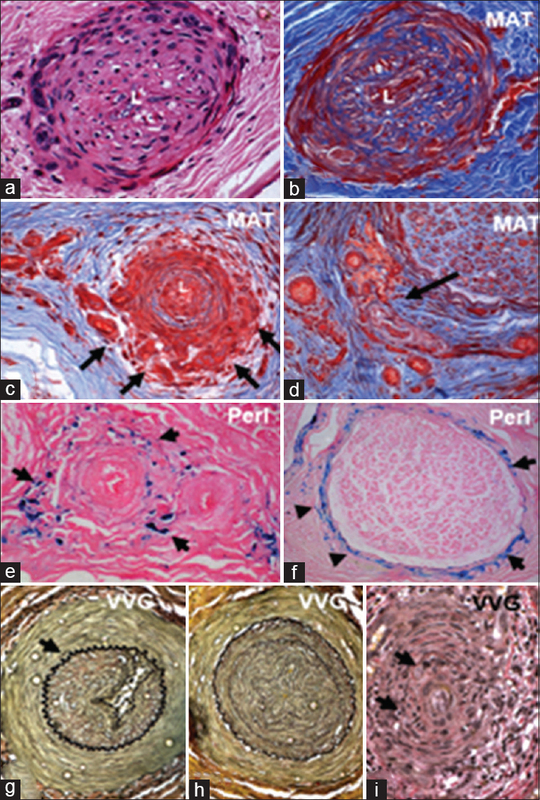 Vasculitic neuropathies and neuropathies of connective tissue disorders: Neuromuscular disorders in clinical practice. Boston, USA; Butterworth, Heinemann; 2002;P669. Moore PM, Richardson B. Neurology of the vasculitides and connective tissue diseases. J Neurol Neurosurg Psychiatry 1998;65:10-22. Mathew L, Talbot K, Love S, Puvanarajah S, Donaghy M. Treatment of vasculitic peripheral neuropathy: A retrospective analysis of outcome. QJM 2007;100:41-51. Gayraud M, Guillevin L, le Toumelin P, Cohen P, Lhote F, Casassus P, Jarrousse B; French Vasculitis Study Group. Long-term followup of polyarteritis nodosa, microscopic polyangiitis, and Churg-Strauss syndrome: Analysis of four prospective trials including 278 patients. Arthritis Rheum 2001;44:666-75.